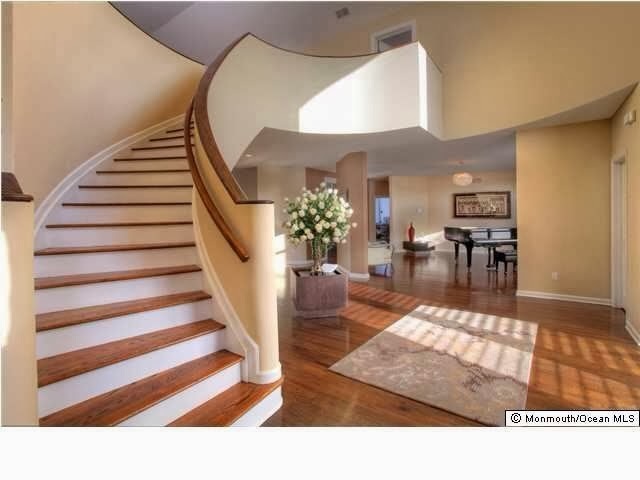 Queen Latifah Selling Her NJ Mansion for $2.4 Mil !!! Well, it looks like Queen Latifah is doing well. She has a hot talk show and is now ready for a upgrade. The Queen just listed her private retreat with luxury real estate broker, Robin Jackson. Owned by Grammy-award winning singer-songwriter, actress, and talk show hostess Queen Latifah, the property, situated on nine acres in Colts Neck, N.J. Surrounded by equestrian farms and estates, meandering country roads and sprawling parks, the property is being offered at $2,399,000. Among the features are: a residence offering more than 7,000 square-feet of living space, outdoor recreation areas, heated Olympic-sized swimming pool and luxury amenities. The property is the first luxury home that Queen Latifah purchased. The custom home, built in 2001, was designed for comfort and entertaining, and has been used as her retreat and gathering place for family and friends over the years. "Many incredible memories have been shared with those closest to me and my family in this home," said Latifah. "I am confident that the new owners will love the home and the Colts Neck community as much as I do." Long considered one of hip-hop's pioneer female artists, Latifah is a singer-songwriter, actress, model, television producer, record producer and talk show hostess. She has earned a Golden Globe award, two Screen Actors Guild Awards, two Image Awards, a Grammy Award, six additional Grammy nominations, and Emmy and Academy Award nominations. 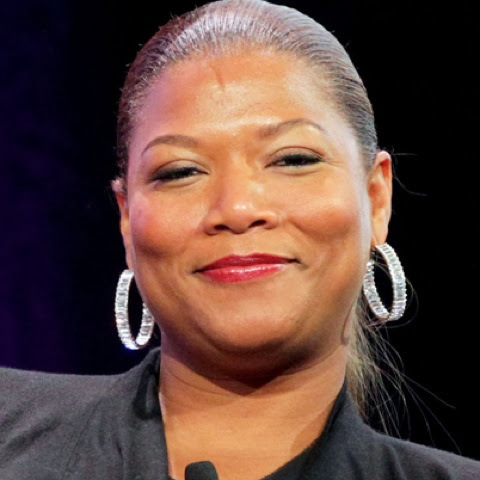 Her most recent endeavor, the Queen Latifah Show, has earned her a nomination for best new talk show host from the People's Choice Awards. Classic and contemporary best describe the transitionally styled home which combines traditional design with contemporary architectural details. 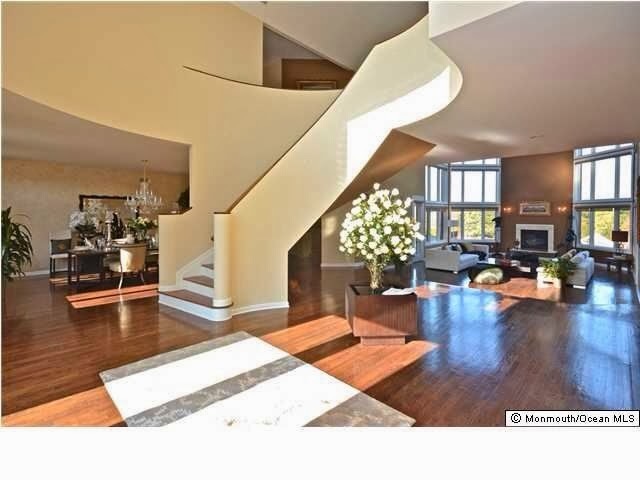 The 6-bedroom home features an open floor plan with hardwood flooring throughout, a grand foyer, and sunken two-story great room with gas fireplace, floor-to-ceiling windows and doors that open to decks. Other amenities include a library with gas fireplace, half bath, an office with gas fireplace and private deck overlooking professionally landscaped grounds, and an au pair suite with full bath. The kitchen features cream color glaze finished cabinets, a custom marble and bamboo backsplash, marble counter-tops, high-end stainless steel appliances, butler's pantry, dining area and sunroom. 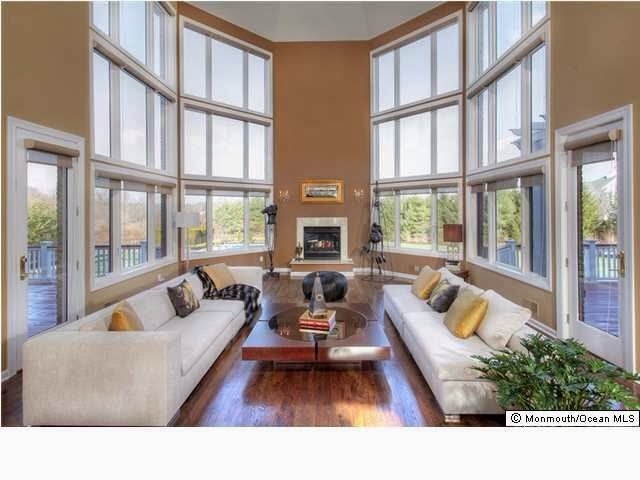 The second floor offers a private sitting area and balcony overlooking the great room. The master bedroom suite features hardwood floors, a double sided gas fireplace, ample closets and private deck. The luxury master bath offers a steam shower, marble Jacuzzi soaking tub, skylight, his and hers vanities and private rest rooms. In addition, there are four sizable bedrooms with two Jack and Jill baths and an upstairs laundry room. Queen Latifah's house, which is located in Colts Neck, NJ, offers easy commuting distance of New York City and Philadelphia.